Vietnamese carrier Vietjet has placed a firm order with Airbus for the purchase of 30 more A321s – totalling nine A321ceo and 21 A321neo. The order was signed at the Dubai Airshow by Vietjet president and chief executive, Nguyen Thi Phuong Thao, and John Leahy, Airbus chief operating officer, Customers. “Today’s order for additional A321s responds to our growth strategy and to the need for additional seat capacity on both domestic and international routes,” said Nguyen Thi Phuong Thao. Vietjet first took to the skies at the end of 2011 and now operates a fleet of 29 A320 Family aircraft including three A321s, on a network covering Vietnam and a growing number of destinations across Asia. Following the announcement the airline has placed firm orders with Airbus for a total of 99 A320 Family aircraft. 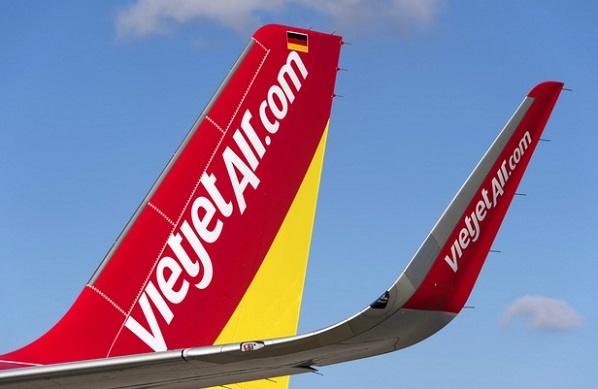 “This additional order from the fast growing airline Vietjet confirms the success of the A320 Family as the preferred choice for airlines in the single aisle market,” said John Leahy. The A321 is the largest member of the best-selling single aisle A320 Family. To date, the A320 Family has won more than 12,200 orders and over 6,700 aircraft have been delivered to more than 300 operators worldwide.